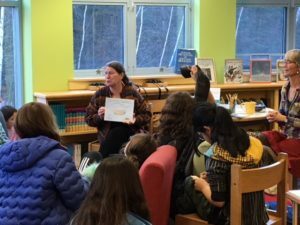 Here are photos from author Julia O’Brien-Merrill’s recent visit to the 5th/6th Grade Writing Clubs, which combined for the event. 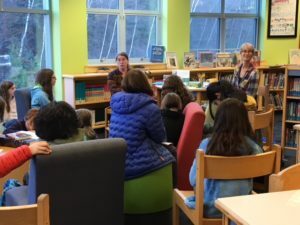 Twenty-three kids enjoyed learning about the origins of the Charlie on the MTA song – The Man Who Never Returned! 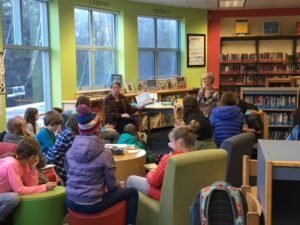 It was part history lesson, part author visit, part music session. 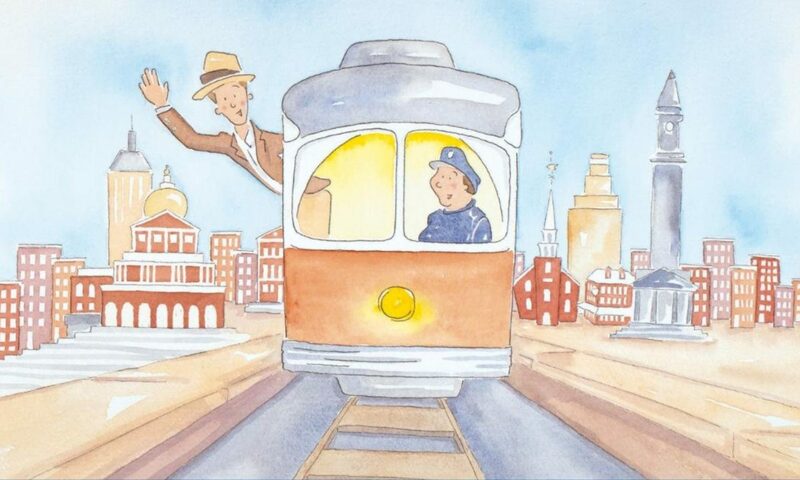 Here’s a link to the author’s site featuring her book, Charlie on the MTA: Did He Ever Return? The song was a direct result of her father’s mayoral candidacy in Boston, during the McCarthy era. It’s very much a picture book for all ages. Next PostNext A Charlie and the MTA Christmas!